The table above displays the key offensive and defensive details of all eight teams headed to the 7DAYS EuroCup Quarterfinals. Sorted by each team’s efficiency differential—or the number of points per possessions they score less the points per possessions they allow—it paints a picture of what these teams have been able to accomplish to this point and what has driven their success on both ends of the floor. There’s no shortage of intrigue across each of the four series set to begin on March 5. Quarterfinal A features two of the top offensive teams in the EuroCup this season. Unicaja Malaga has shot the ball extremely well inside all season while ALBA Berlin has thrived in transition—especially when Peyton Siva was healthy. Even without him, ALBA has shot the ball at a high level from the perimeter all year and forced turnovers at a strong rate defensively. ALBA's ability to limit Unicaja’s big men in the paint is a major point of interest. Quarterfinal B features perhaps the most interesting strength on strength battle of any pairing. 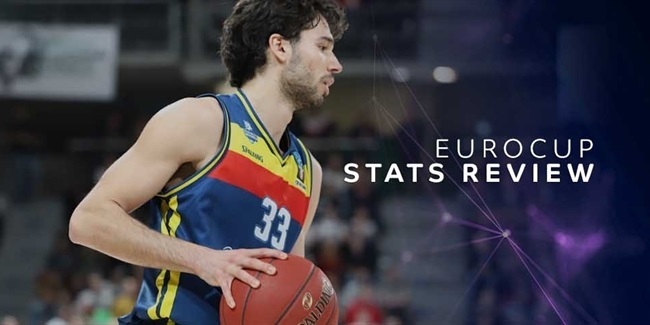 MoraBanc Andorra has excelled offensively featuring several of the competitions most efficient scorers in both the regular season and Top 16 while LDLC ASVEL Villeurbanne has been tremendous on the defensive end, contesting shots as well as any team in the competition. The team that gets the better of the other on that end of the floor figures to advance. Quarterfinal C features a Valencia Basket team that has scored with elite efficiency to compensate for average defensive results throughout the season against perhaps the most battle-tested team of the Top 16, Rytas Vilnius. A made basket away from being eliminated early and the last team to qualify following a dominant performance in a do-or-die Round 6 win, Rytas has faced long odds already this season and appears to have found a winning formula heading into the playoffs. 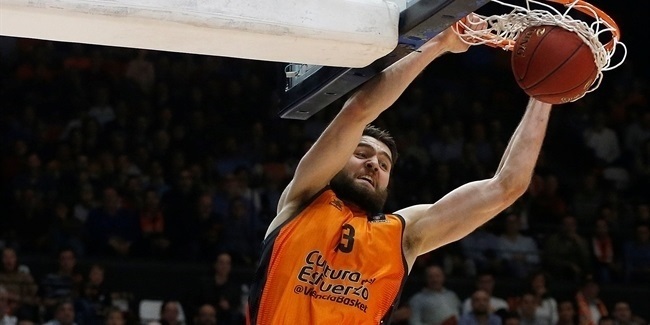 Quarterfinal D features the two juggernauts of the 2018-19 EuroCup season to this point. Posting elite efficiency numbers on both ends, Lokomotiv Kuban Krasnodar versus UNICS Kazan is the league’s best possible matchup on paper this season. Lokomotiv pushed UNICS to the brink on the road in their previous VTB League meeting in this season as there is already a precedent that this series will live up to the hype. The table above sorts the EuroCup’s most efficient offensive players heading to the quarterfinals into two groups: one for high volume scorers and one for lower volume role players. There’s no shortage of interesting names on this list including Rytas Top 16 hero Artsiom Parakhouski and MoraBanc sharpshooter John Shurna, but late-season acquisition Dragan Apic leads all players lists in limited action. Apic has been one of the most efficient players in European basketball all season and he has not slowed down in his short time with Lokomotiv, which places four players on the lower volume list highlighting its tremendous offensive balance. ALBA places four total players on both lists, though Peyton Siva’s availability has been limited following a hot start. 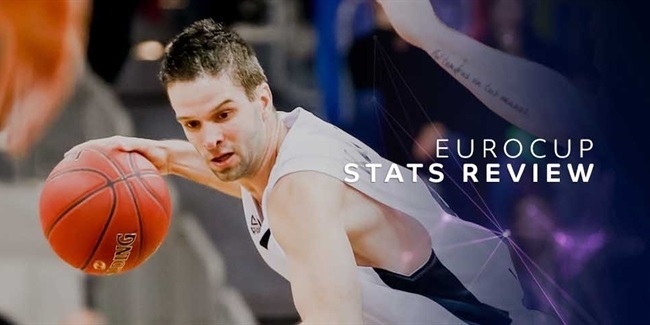 Rokas Giedraitis and Niel Giffey may be the two most opportunistic shooting and finishing wings in the EuroCup this season and that has not changed in Siva’s absence. Valencia is the last team placing four players on the lists above. Matt Thomas leads the charge for the Spanish powerhouse, but the return of Antoine Diot figures to be meaningful for the team’s fortunes as well. UNICS has three highly efficient volume scorers and its series with Lokomotiv has no shortage of star power.